Growing up, I thought a lack of hops was the only thing we had trouble with but as an adult, I’ve realized communication is even more difficult for many of us than getting to the rim on a basketball court. Much of what I learned growing up in a small town was influenced by the movies and TV shows I watched, so don’t hate me; I was a product of my environment. Also, Woody Harrelson could actually jump, so maybe we should revisit that false narrative too. How dare you White Men Can't Jump! For now, I’ve only got the bandwidth to tackle just a tiny sliver of the toxic masculinity that I see suffocating so many men who look like me, so that’s where my focus will remain…for now. To be clear, for the sake of this conversation, I’m using my experiences as a white man to relate and dissect what I see as an epidemic that needs desperately to be addressed. I consider myself to be many things. Beyond the color of my skin, I’m also gay, progressive in some ways, conservative in others, a former atheist and diehard Christian all at the same time. I am complex because I am human. This issue is also complex and not something a single blog post can accurately address, but the conversation must be had, so I figure this is a good place to start. I recently visited my hometown in rural Ohio and had such a great time with family and friends. Every now and then our souls need to recharge and for me, home is where mine is able to do that. I’m very proud of my small town upbringing but equally concerned with the lack of progress I often see, especially among the men of my former community. To be fair, I’m not talking about ALL men here, but I am talking about many, many men. Too many men aren’t comfortable sharing emotions or expressing themselves; for fear that they might appear weak or “soft.” For someone like me, who grew up different from those around him, I’ve always used my words as both a defense mechanism and more recently, as a tool to impact positive change in the world through conversation. Today, the conversation I’d like to have focuses on the way we communicate to young boys and the way that we, as grown men, communicate with each other. Beyond those simple throwaway statements immediately following a tragedy, what are most of us doing to take action; to further the conversation? Have you ever stopped to ask what these phrases actually mean, because I think there are so many answers to be explored in each seemingly innocuous statement. Our boys are struggling with mental health! When it is more important for many to teach their sons to be ‘strong” rather than to be caring…that’s a problem. When we teach boys that their job is to always protect those around them, we’re also teaching them that they are responsible for those around them, which they are not (any more than anyone else is). Showing young boys that wives must be obedient and that disagreements are not allowed teaches them that they deserve to get the result they want, regardless of how that result might impact others. So, as these young boys grown into adulthood, they’re left shell-shocked when hit with the realization that the diverse world around them does not bow down to them and that there are men and women everywhere who are able to access their emotions in a healthy, positive way. This leaves men, white men, in particular, feeling left behind. These beliefs are so ingrained in so many that we, as a nation, would rather point fingers at young children and call them “hired actors” than address the fact that young white men are actually a very real threat to our safety. I know that’s not easy to read and will likely ruffle some feathers, but this fact is undeniable. Thankfully, it’s also fixable, if we’re willing to shift our collective narrative. My grandfather was a brave man and although he signed up for the military as a teenager, which I could not imagine doing, he was never fully emotionally present in the way that a healthy adult should be. He said the words "I love you" to me once during my lifetime and rarely showed the sort of affection towards my grandmother that she yearned for and deserved. He continued the cycle he'd learned as a young boy, suppressing the same emotions his father had suppressed, as well as the emotions that he never allowed to develop fully because he needed to remain focused in order to survive the horrors of war. His sacrifice was so profound, but my heart also breaks for the man he could have become emotionally, had he been raised with different possibilities and fewer expectations placed on him. 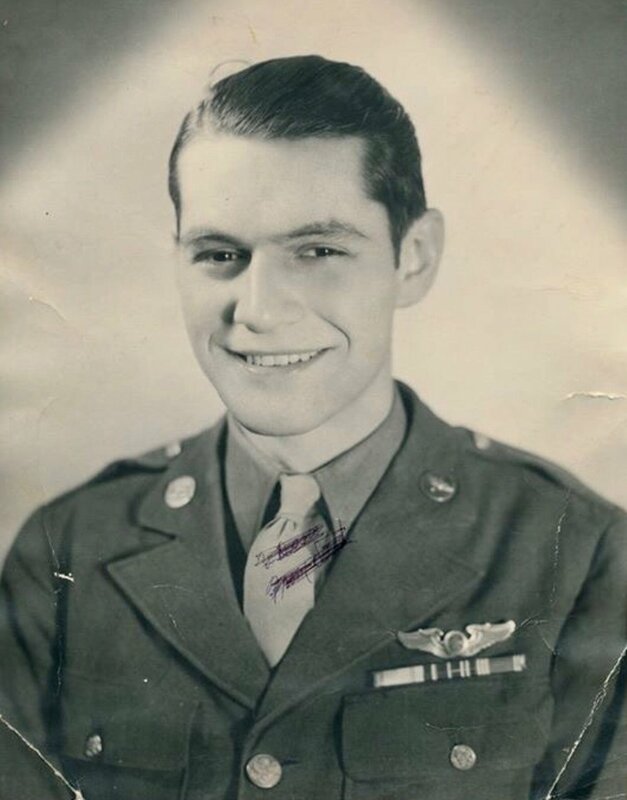 Regardless of what might have been for my grandfather, I do know that he did not fight in World War II so that we could one day watch our nation crumble from within and I will not sit on the sidelines while I watch this self-inflicted disease of toxic masculinity destroy who we are as a people. We have a real sickness that needs addressing and it’s the way we have conversations about tragic events that take place almost weekly in our country. White men are feeling unheard, unseen and left behind and they are lashing out with hatred and violence…I’m not okay with that. Should those men be held accountable? ABSOLUTELY. Should we be doing more to teach young boys that they can share emotions, that they can love those who might not look or think like them and that the world does not belong to them? YESSS!!! This is the only way we’ll ever heal as a country and find a way forward as the “melting pot” we’ve been told that we are. As we celebrate our nation’s independence, let’s be aware that the reality we’ve experienced as Americans might be very different from the reality others have also experienced and let’s be willing to have conversations that might help improve the lives of our marginalized, less fortunate brothers and sisters. There is no independence in hateful group think, so let's make an extra effort to start listening to our hearts and begin to create independent thoughts from a place of love, compassion and understanding. Let’s also be sure to take a moment to consider the language we use with one another, especially with our young boys. Words matter and a single phrase can have a lasting impact on an impressionable young person. Luckily, I believe that 99% of people are good inside and have the capacity to love unconditionally; because that’s the way each of us was created. Every now and then we need to check in and remind ourselves of this inner gift. If we don’t, it’s the younger generation who stands to lose the most. Let’s not do that to them. I hope you all have a safe and happy Fourth of July (also, would’ve been my grandpa’s birthday), but don’t forget to take a moment to honor what this day is truly about so that we can one day become the “land of the free.” As Americans, we are a blessed nation who has overcome so much, but without actively choosing love every single day, we run the risk of turning into a nation of fear and hatred and divisiveness and that’s a road we’ve been down too many times before; let’s not head down that path again. Grandpa...I love you and I miss you. Thanks for your brave service.